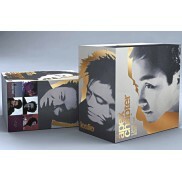 180 gram audiophile vinylGatefold sleeveIncludes 4-page insert with photos and production info from ..
DISC 1: 東邪西毒1. Ashes of Time 東邪西毒 Li Xun/ Wu Tong/ Yo-Yo Ma (Cello)2. The Rain S..
LIMITED 180g黑膠發行!! 年度終極靚聲黑膠 限量號碼版 精美兩封套設計 Side A 1. Intro 宮二 (章子怡) 2. ..
33 1/3轉‧180克德國印製，首500張限量編號紀念發行Side A 1. 將軍令 2. 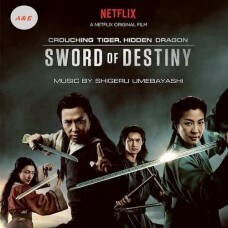 小刀會序曲 3. 弓舞 4. 豌豆花開 &nbs..
「瑞鳴音樂」邀請國際知名小提琴家柴亮演繹 13 段中外電影的配樂，以小提琴與簡潔的鋼琴伴奏再現經典風華！A 面：《重逢有日》1. 教父 2. 一顆..